Sgt. Roger McAllister was a 24-year-old Army ranger from Milford when he was killed in Vietnam on Mother’s Day 1965. 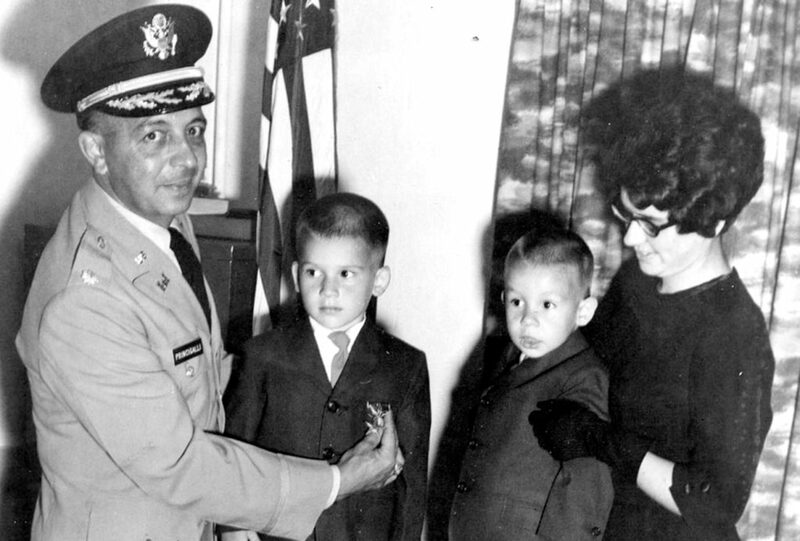 In the photo, his children Gary and Roger, and their mother, Rita, receive his Bronze Star. McAllister’s name is on the Vietnam Veterans Moving Wall that is scheduled to be set up in front of Souhegan High School today.